Having the right cloud strategy, and making the right decisions on cloud infrastructure and workloads, are vital to keeping your business competitive. If you need guidance on any cloud-centric decision, GBM’s experienced team of cloud computing experts are here to provide independent advice and tailored, end-to-end solutions. We offer a comprehensive range of consulting services designed to help you assess your existing environments, select the best infrastructure for the next stage of your digital transformation, identify workloads that could run better in the cloud, and optimize your cloud mix for maximum efficiency. Designed to help our customers visualize and plan their journey to cloud, this assessment service methodically address the challenges of cloud computing adoption. The service begins with assessing the existing workloads running in the datacenter and the viability of migrating these to cloud-based services, across multiple dimensions of business criticality, sensitivity of data, technical viability, and efforts required for the transformation. The service engagement further proceeds through the planning, design and transition of viable services. The Cloud Readiness Assessment is suitable for businesses beginning their journey to the Cloud, or for those businesses who wish to re-assess the environment prior to tackling their more complex services and applications. Migrating workloads to public cloud can deliver significant cost-savings and improved economics – but only if you properly understand your sizing requirements, and select the right services to meet them efficiently. To do so, you must gain a clear picture of your current infrastructure and how it is utilized. GBM’s cloud advisory team can help you map and optimize your infrastructure, so you can migrate to cost-efficient public cloud platforms that fit your workloads. GBM’s experience and consultation services reveal valuable insights, which help you address issues such as under-utilization of your datacenter – so you can get more from your infrastructure, without the need to scale up or out. If you want optimal value from on-premises IT and public cloud, we can help you plan for an environment with just the right resources for your needs. The software stack is a complex web of interdependencies, and this makes migrating workloads to the cloud challenging. It’s rarely possible to migrate everything in one step – so it’s vital to know which workloads can be migrated first, without breaking a dependency on another application and bringing your operations to a halt. GBM can help you map your entire environment and prepare an efficient migration without disruption. 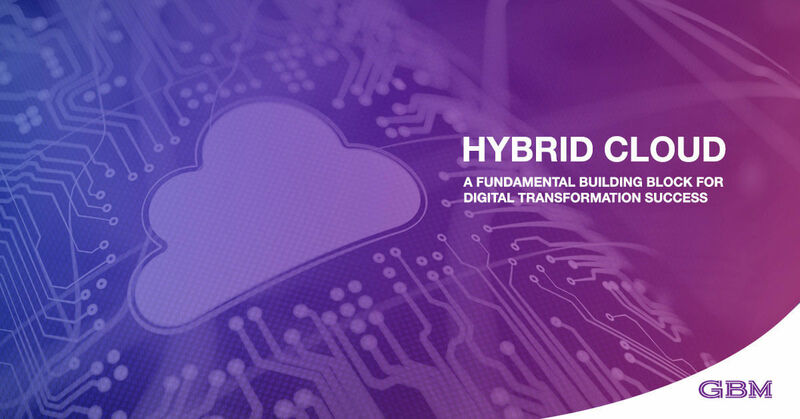 If you are planning a digital transformation journey that will take you to public or hybrid cloud, now is the moment to carefully assess your environment. With GBM, you can reveal issues and opportunities before they are missed – and make the path to cloud success much smoother.